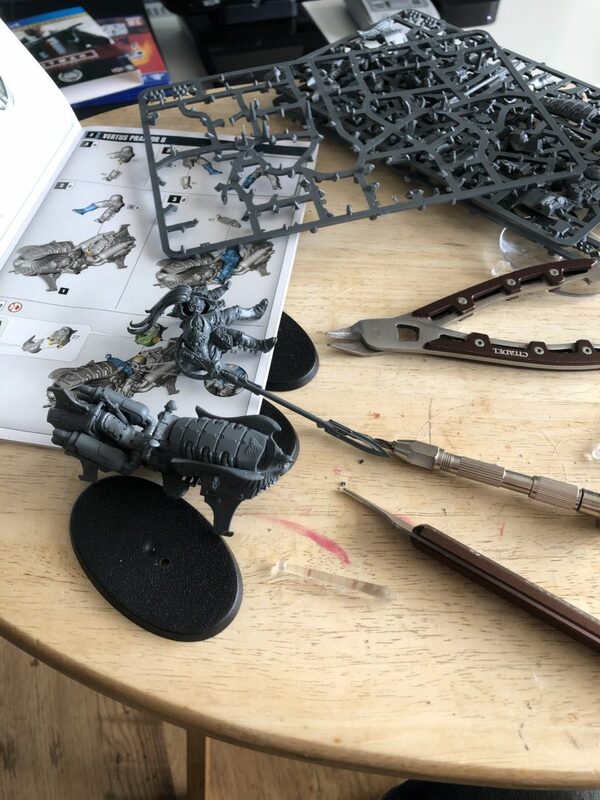 I’ve got no mojo today for the painting I’d planned to do, so I’m spending the day building the next batch of Hobby Goals units, while watching the LCO coverage. Gotta stay productive! 1 down, 5 to go. It’s taken a few weeks, and multiple loads, but that’s the last of the card/packaging/delivery boxes from the festive period finally into the recycling. All theme files should be compliant with the WordPress Coding Standards, apart from a few instances where I’m planning to rewrite what’s there. I’ve made little tweaks here and there to the markup output by the theme, and plan to revisit this continually. I made a test post to indieweb.xyz, but it didn’t quite parse correctly last time. This post should also be submitted – fingers crossed it goes better this time! I’m also curious if IndieNews posting will be more successful. Files have been refactored (albeit not yet fully reorganised), with a goal of splitting up what was a growing, monolithic functions.php into smaller logical chunks. I’m wrestling with how to handle all of the different kinds of posts the theme will support, from a markup and display point of view. My biggest headache at the moment is the treatment of post titles. I might write another post on this topic. I’ve been working on making plug-in support more optional than I had it at the outset. I make heavy use of Post Kinds and other IndieWeb plug-ins, but don’t want the theme to necessarily rely on them. I’m learning quite a bit through this exercise, which is great. It’s reinvigorated some of my love of code tinkering; I’m finding that some evenings I’m more keen to sit down at a keyboard than I am to sit at my hobby station, which is something that’s not happened in a long time! Update 09:26 – IndieNews submission is still failing, unfortunately. Indieweb.xyz seems to be working, but I had to force a Webmention. Just had one of the back garden fence panels implode under the high winds, and several others looking like they might go too. Just the thing I needed first thing in the New Year. Learning about how filthy the new Gloomspite Gitz are.